[Arcade] Zeppoz Bowling and Casino (Zeppos) - Pullman, Washington - DDR X2! the new arcade officially opened today! they're using a card based system now, no cost to acquire / activate a card though. DDR X2 is $1.00 per play. Volume was low, so I asked them to turn it up. Then it started to get kind of busy and the sound was drowned out again. I mentioned it to the folks at the counter on my way out and they said they would turn it up some more. Not much else to say; it's brand new. As everyone knows, the new Betson platforms don't feel as good. Just have to get used to it though, I suppose. Probably gonna go play again tomorrow and put in the unlock codes while I'm at it. Andrew, are there any regular players in the Pullman/Moscow area anymore? I know when I was there (2003 - 2008) players tended to come and go, but there were usually at least 2-5 of us at any time that played regularly. I only visit that area about once or twice a year, but I sometimes see some people playing on the machine at Zeppos every now and then. This gives me some hope that there's still some kind of a DDR scene at WSU. As far as I know, no. Since I started playing again in April or so, I've only seen one other person playing and that was last Thursday. I drop in a few times a week, sometimes early afternoon, sometimes late afternoon, but rarely past 6PM, so it's very possible I'm just not there at the right time. That's too bad. The next time I'm visiting Pullman, I'll try and remember to post on here before I go play at Zeppos for "old times sake". threw a pnwbemani tag on the X2 cab, hopefully can hook a few players and find some other regulars. I'd love to go, but that's quite the drive for me. I used to drive 1.5 hours to Spokane just to play DDR and it was definitely worth it at the time. Now I'm old(er) and not as motivated. I'll be in the PuMo area (Pullman/Moscow) this weekend. I don't think I'll be playing DDR the entire time (mostly visiting familiar places and cycling on the glorious paved trails in the area), but I do plan on going by Zeppos and putting a few scores on the machine. are you around here, addie-u? I was playing today and saw a few scores set under that name. 1P top arrow and 2P right arrow are both acting up, firing at random and sticking (1P is in worse shape, top arrow basically stays constantly lit). I mentioned it to the folks at the counter and they wrote it down, but who knows if/when it will get fixed. lol, the 2P side didn't start acting up until just today AFAIK. 1P side has been misfiring for a while now, and in very bad shape for ~2 weeks or so. I've been stopping in again once in a while as I have more time. Unfortunately, the 1P top arrow is super stuck and now the 2P left is also sticking pretty badly. 2P right is slightly unresponsive still. I'm assuming they've done maintenance and repair, as everything was fine over some of my visits the past few months. They inevitably end up sticking again though, usually by my next visit, lol. I always mention the problems to the folks at the front counter, hopefully one of these days they'll just replace the sensors and stuff with new parts. I hope so. I usually try to visit over the summer and it'd be nice if the machine was working. Just visited on Oct 11th 2015 and this machine is mostly unplayable. The 1P side's right arrow would get stuck for 10+ seconds and I was barely able to pass anything. The 2P side is better, but no where near what I consider "reasonable" for a dance game. It would be nearly impossible to AAA anything with the state of these pads. 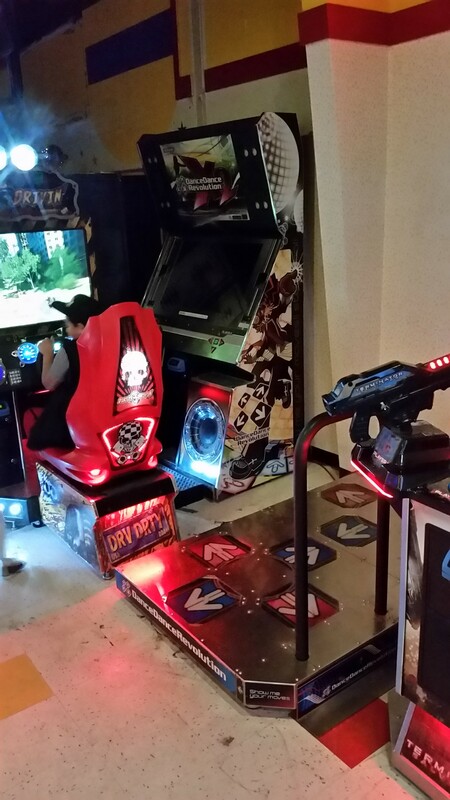 I don't know if it's for sale or not, but someone needs to rescue this DDR X2 machine from Zeppoz. This used to be a great place to play DDR back in the mid 2000's, but since they swapped out the old SuperNova machine with this one, it hasn't seemed to work well at all. Every time I visited, it would be in a pretty poor state or barely playable. It seems they finally just gave up on it and shoved it into a corner. I can only hope that someone can reach out to whoever the owner is and make this thing playable again. Wow If i could get this for less than 1k I would totally buy it. Despite how terrible the pads actually are and the hardware It would still be a fun project to make nice.